← Westfield Style Week – The VIP Launch. 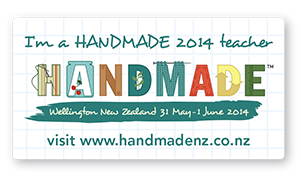 It is only three short weeks away until Wellingtonians and visitors get the chance to play, learn, listen, create and be inspired by a weekend of exciting events: Handmade. This is my second year of being involved with this incredible event and I had such a blast presenting last year that I am even more excited about taking part this year with my Masterclass: Up-cycling 101. What better way get a taste of what my Up-cycle 101 class is about than to hear from some people who were there last year. I received these emails from a members of the audience after last years show and they just made my heart sing! Thank you both for your lovely words of encouragement. I look forward to inspiring a whole new class of Handmade enthusiasts. This entry was posted in Fashion, Fun (Funity), Presenting, Style, Things I Love and tagged Event, Fashion Blogger, Fun (Funity), On Stage, Style. Bookmark the permalink.